Metal recycling benefits the environment and can also help your company save money. If you’re a business owner interested in taking advantage of industrial recycling in Atlanta , then keep reading to learn some of the facts you should know about non-ferrous metal recycling. Non-ferrous refers to any metals other than ferrous metals. Ferrous metals are metals and metal alloys that contain iron, for example, carbon steel and cast iron. Common non-ferrous metals include copper, zinc, tin, aluminum, nickel, and lead. However, precious metals like gold and silver are also non-ferrous. There is a broad range of consumer and commercial goods that contain recyclable non-ferrous metals, such as soda cans, electronic circuitry, car radiators, and airplane components. Non-ferrous metals are more malleable and resistant to corrosion and rust than ferrous ones, and they are also more lightweight, which makes them good options for products that require strength but for which weight is a concern. 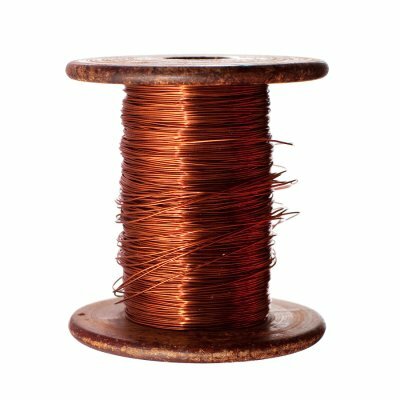 Lastly, non-ferrous metals are non-magnetic, which is why they are used for wiring and electronic circuitry. Non-ferrous metals are particularly valuable when it comes to recycling because these materials do not break down or lose their properties during the process. These characteristics mean that non-ferrous metals can be recycled infinitely without losing their physical or chemical attributes. Although non-ferrous metals make up a relatively small portion of all metal that is recycled in the U.S., what is recycled accounts for a significant amount of metal recycling profits. Non-ferrous metal materials that are collected for recycling are transported to industrial consumers, such as refiners, foundries, and smelters, providing these entities with affordable and eco-friendly access to valuable non-ferrous scrap. These industrial consumers process the scrap metal, which is an energy-efficient alternative to processing raw ore, to create new products and begin the material’s life cycle anew. If your business produces non-ferrous scrap metal, then you might benefit from metal recycling services. 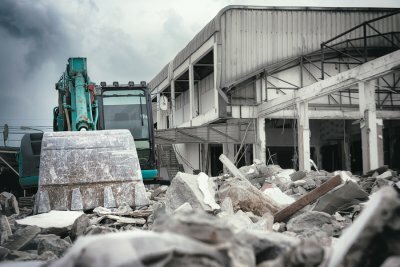 When you are planning on remodeling your home, you may be faced with the challenging task of determining how to dispose of your excess demolition waste and construction materials. A dumpster rental near Atlanta may provide you with the ideal solution during your renovation. Since your remodeling project will only produce a temporary volume of waste, you can rent a dumpster for the timeframe of your project. Dumpsters are perfectly suited for disposing of renovation waste. Depending on the scope of your project, you can rent a compact dumpster or a large, roll-off container. Your dumpster will be delivered directly to your site, so you will not have to worry about transporting waste from your property. At the end of your project, your team of waste management professionals will be there to pick up your dumpster rental and haul it to the appropriate processing facility. 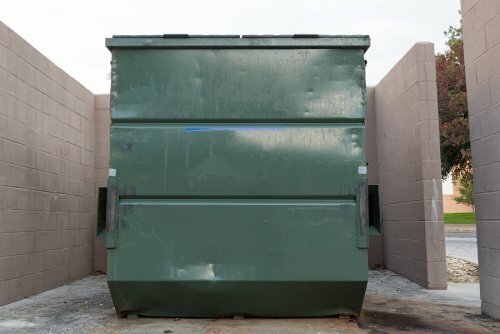 If you are getting ready for an upcoming renovation, now is a great time to receive a quote for dumpster rental prices. When you set up a waste management plan for your business, you will need to make sure that your facilities are equipped with enough trash cans. While trash cans may seem like basic office supplies, they are actually very important to ensuring proper waste disposal for your business. 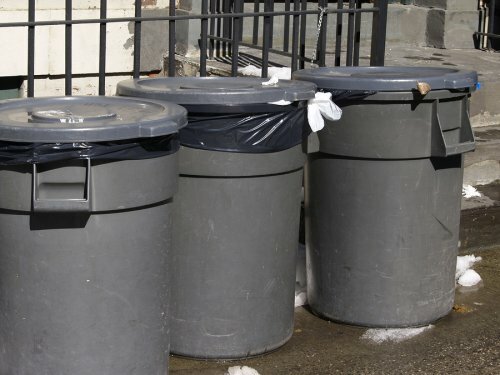 A company that offers waste disposal services and trash pickup near Atlanta will be able to help you calculate the correct number of trash cans for your office space. By providing your workers with enough trash cans, you will be able to ensure that your trash removal efforts are being supported, throughout the workday. When your employees are provided with conveniently placed trash cans, they will be able to easily toss out their waste. However, if you place too many trash cans around your business, you may end up crowding your space. A team of waste management experts can help you to make sure that your business is supplied with the correct number of trash cans. Many industrial processes produce high volumes of waste, some of which can be hazardous to humans and the environment. Therefore, you will need to work with a waste management company to schedule routine trash pickup and industrial waste removal . With services from a company that offers waste management and recycling serving Atlanta, you can rest assured that your industrial waste is being disposed of in a safe and effective manner. Read on for a closer look at three factors to consider when you are building your industrial waste management plan. One of the most critical considerations for any industrial waste management plan is how the trash debris will be collected at the site. 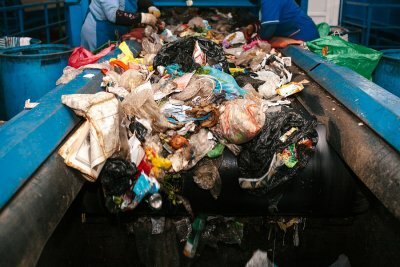 To achieve the best efficiency from your waste management plan, you should attempt to collect waste as soon as it is generated in your factory or plant. By strategically placing trash cans, recycling containers, and other receptacles around your site, you will be able to ensure that waste is collected soon after it is created. An industrial waste management plan will only be as effective as the employees who are implementing the program. Without proper training and education, your workers may not know how to properly use your new trash receptacles or recycling bins. After you have planned out your industrial waste management scheme, take the time to correctly educate your employees on how to properly dispose of waste. A final consideration for your industrial waste management plan is your trash pickup schedule. If your industrial facility generates large volumes of waste, you may need to schedule pickups for routine intervals throughout the week. A company that specializes in waste management services will be able to help you create a trash removal schedule that reduces waste on your site and prevents the unnecessary buildup of trash or recyclables. Your trash pickup schedule will need to be customized to the unique needs of your facility. Proper waste management is very important for businesses that generate hazardous materials as a part of their routine operations. If your business discards batteries, pesticides, or products that contain mercury, you are obligated to participate in the universal waste program that has been created by the EPA. A company that offers waste disposal and junk removal in Atlanta will be able to help you create a safe processing plan for the hazardous waste that is created by your business. To help you comply with EPA standards, here is a brief guide to what you need to know about universal waste. In recent decades, the EPA has recognized that certain types of hazardous waste are frequently discarded by many different types of businesses and industries. In order to streamline the collection process and keep hazardous materials out of landfills, the EPA created the universal waste program. This program regulates the processing of hazardous waste collection, and also helps companies with the proper disposal of potentially toxic and harmful materials. Universal waste falls into a few, distinctive categories. 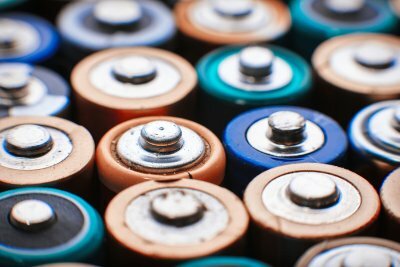 Batteries are among the most common types of universal waste that businesses toss out every day. All types of batteries are considered to be hazardous once they have been placed in the trash. Other categories of universal waste include pesticides, as well as equipment and lamps that contain traceable amounts of mercury. All of these items need to be safely handled by a designated waste processing facility. A company’s participation in the federal universal waste program will be dictated by the quantity of hazardous waste that it handles every day. Companies that produce small amounts of waste are categorized as small quantity handlers. Larger organizations and companies that generate high volumes of hazardous waste earn the designation of large quantity handlers. No matter your designation, a waste management company will help you safely process your universal waste products. If you own or manage an industrial plant or factory, your waste management will typically be monitored by the EPA or another federal organization. To make sure that your waste management procedures comply with federal regulations, you should work with a company that specializes in managing industrial waste near Atlanta . Your waste disposal company can help you create onsite solutions and collection plans for all of your solid waste. Let’s answer some of the most commonly asked questions that business owners have about their industrial solid waste. What is the definition of industrial solid waste? In order to properly manage your industrial solid waste, it is helpful to understand how this category of waste is defined. Typically, industrial solid waste is categorized as any waste product that is in a solid, partially solid, or enclosed gaseous state after it has been generated. In order for waste to become labeled as industrial solid waste, it must be produced during an industrial or manufacturing process. Are there methods for reducing industrial solid waste? Many industrial businesses are interested in reducing the amount of solid waste that they create during their daily operations. 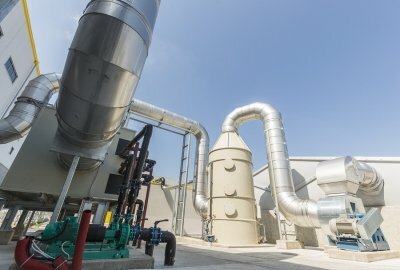 Solid waste reduction can help to make a company’s manufacturing process more efficient, and waste reduction is also environmentally friendly. To reduce solid waste production, it may be possible to install new machinery that is designed to be more efficient, using fewer resources. Proper facility maintenance can also go a long way towards reducing solid waste in an industrial setting. How can solid industrial waste be managed? An experienced industrial waste management company can provide you with disposal and pickup services that will help to streamline your solid industrial waste management. Rather than relying on onsite services for proper containment and disposal, you can hire your waste management professionals to pick up, sort, and dispose of your solid waste using the latest waste management technology. Outsourcing your solid industrial waste management will help you ensure that your waste management plan complies with federal regulations. Are you looking for ways to cut down on your school’s waste near Atlanta? If so, then the good news is that there are many ways in which schools can improve their waste management practices and be more environmentally friendly. 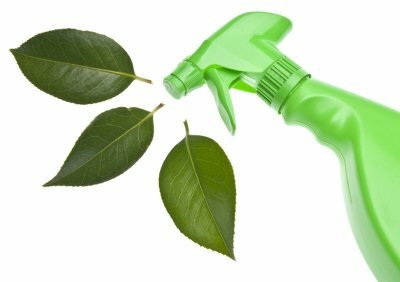 Continue reading for tips on making your school a greener place. You already know that you want to make your school more environmentally friendly, but knowing where to start can be overwhelming and confusing. For this reason, it’s a great idea to start with energy and waste audits. You can conduct these audits yourself or work with a professional company. The audit process will give insight into your school’s biggest problem areas. There is a good chance that you’re not the only one who wants to work for a greener school. For this reason, you can benefit from speaking with teachers, custodians, and other staff members to learn their opinions regarding potential areas for improvement and which green initiatives they would be interested in participating in. If you work with children, then you already know how enthusiastic and outspoken they can be when it comes to learning about and protecting the environment. Include students in the process of making your school greener by asking for their input and letting them help with or even lead programs for educating others about recycling facts, setting up recycling bins, planting school gardens, and starting green clubs. Your school may already be greener than you would guess. It’s common for institutions to make use of energy-efficient and environmentally friendly products and practices, and it’s also common for only a handful of people to be aware of these green initiatives. Learn what your school already does to be green and spread the word through signs. Also, post educational signage that informs others of any new green initiatives that your school adopts and what they can do to help.